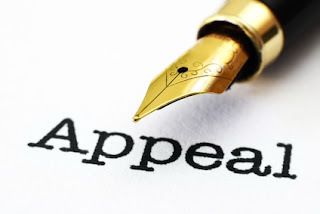 Did you know you have the right to appeal when you your insurance company does not pay for a treatment or appointment? 1) Insurance Appeals typically involve three levels with the first two levels being internal reconsideration and appeal levels within the insurance company. The third level, often called an Independent Review or External Review, is conducted by an outside organization which was not involved in patients care. Each level can take 60-90 days to complete so an entire appeal can last nearly a year. 2) Stay engaged in the process. Keep track of the dates letters are sent for your appeals, and check in with your provider if you receive a letter from your insurance company. Ultimately, your insurer hopes you will become overwhelmed by the appeal process, lose track of the timeline, and give up. 3) Write a letter about your experience, and ask your other providers, such as therapists, to write about the changes they noticed during and since treatment. 4) Know your benefits- Be aware of your deductibles, copays, coinsurance, and out of pocket maximums (for both in-network and out-of-network providers). 5) Contact your state insurance commission if you believe your benefits were incorrectly applied! Over the past several years our TMS Coordinator, Lauren Valencia, has been behind the scenes in seeking authorization and accurate reimbursement for TMS patients.Once a patient is prescribed TMS at our office Lauren communicates with their insurer by phone, fax, or letter to have treatment authorized. So far our office has been successful in recouping over one hundred thousand in payments from insurers who did not adhere to contracts or stated TMS was investigational, and currently has more appeals in various stages of completion.